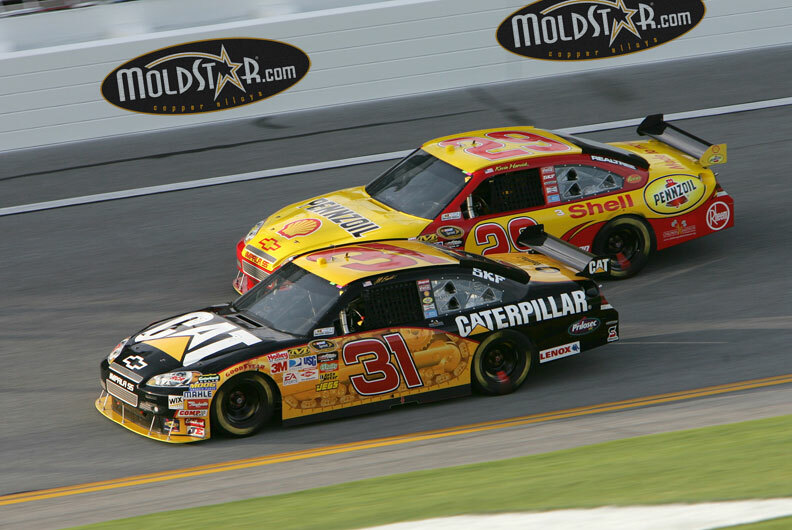 Moldstar ® offers unsurpassed wear and heat transfer, while the staff at Performance Alloys™ offers technical expertise that RCR is looking for in the world of extreme motorsport racing. Performance Alloys and Services, Inc. is proud to announce a multi-year technical partnership with Richard Childress Racing. Performance Alloys™ will be providing Moldstar® materials, as well as technical, manufacturing and engineering support to RCR. MoldStar® Copper Alloys by Performance Alloys™ are highly engineered copper alloys designed and process controlled for extreme wear applications, where heat transfer is also important. The characteristics of MoldStar® alloys are such that exposure to extreme environments cause further metallurgical improvements such as increased hardness, toughness and wear resistance. MoldStar® copper alloys are also all Beryllium-Free. Since 1987, Performance Alloys™ has been leading the market in providing materials that surpass other products being offered to the industrial marketplace. Since 1999, MoldStar® copper alloys have become the new accepted standard along with being the new leader for wear resistance and conductivity in extreme motorsport applications. Additional information can be found at www.moldstar.com. Rick Shaut, Cylinder Head/Intake Manifold Development Leader at RCR/ECR Engines is excited about the success that the Moldstar® copper alloys as well as the manufacturing and technical support offered by Performance Alloys and Services, Inc. Shaut added “that of all the suppliers we use here at RCR/ERC Engines, the people at Performance offer a unique combination of materials, application knowledge and metallurgical knowledge, then further enhanced by their in-house machining capabilities that no other suppliers offer“. Rick goes on to say that the MoldStar90 (MS90) provided a trouble-free/seamless transition for RCR/ECR Engines back when the fuel formulation was changed by NASCAR rules. According to Rick, “here at RCR the MoldStar® materials and manufactured components from Performance Alloys are real problem solvers for us at RCR”. About Performance Alloys and Services, Inc. Performance Alloys and Services, Inc. (www.moldstar.com) has been producing and distributing high-end Beryllium-Free copper alloys and components around the world for motorsports, manufacturing, medical, food and aerospace industries. Performance Alloys prides itself in outstanding quality for the alloys and components, as well as exceptional customer service. Located in Germantown, Wisconsin, Performance Alloys and Services, Inc. has been in business for over 20 years and is well positioned to stay a leader.